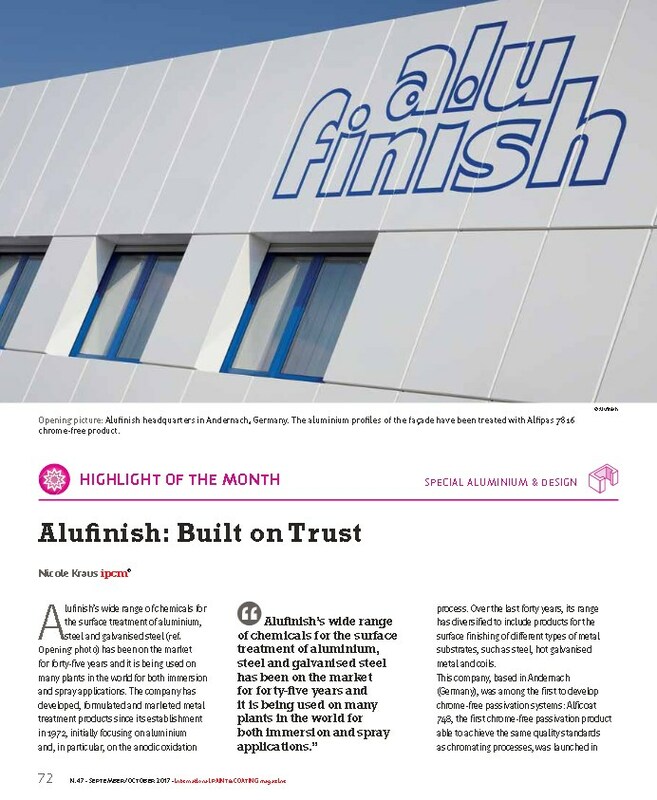 The interview about Alufinish: Built on Trust is available in the current September/October-issue of the ipcm® – International Paint & Coating Magazine. Please read on page 72. You will find the interview also in the download area of this website. The cookie settings on this site are set to "allow cookies" to give you the best possible browsing experience. If you continue to use this website without changing your browser settings or by clicking "Accept" below, you agree to these terms.